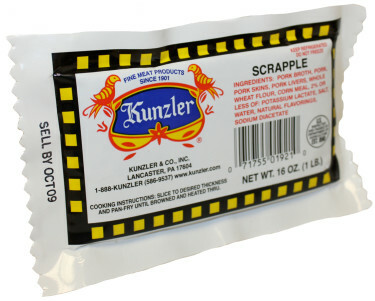 A special blend of quality pork ingredients, combined with whole wheat and corn meal, makes Kunzler Scrapple a unique breakfast meat for a sandwich, side or as a stand alone. 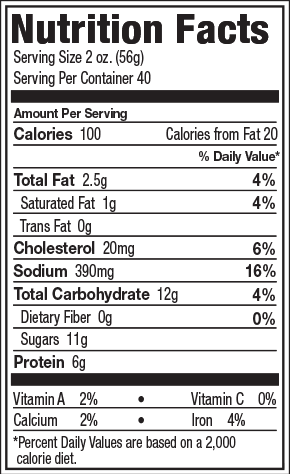 Pork Broth, Pork, Pork Skins, Pork Livers, Whole Wheat Flour, Corn Meal, 2% or less of: Potassium Lactate, Salt, Water, Natural Flavorings, Sodium Diacetate. 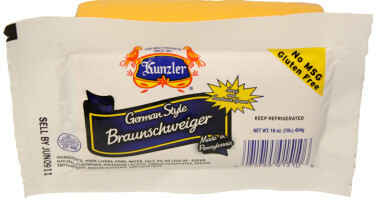 Kunzler’s Braunschweiger has a very soft, spreadable texture and a distinctive spicy liver-based flavor. Typically enjoyed in a sandwich with various condiments or simply spread on crackers. 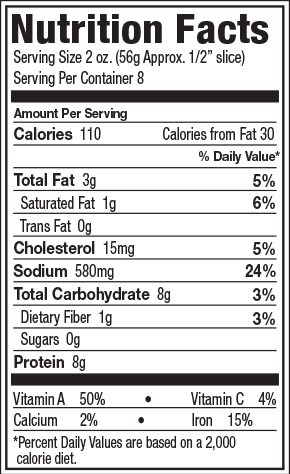 Gluten Free and No MSG. 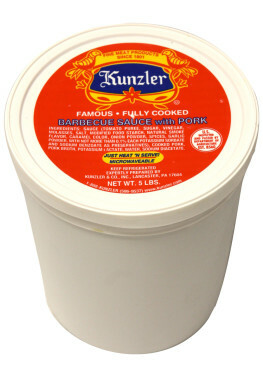 Kunzler’s Pork BBQ is made using lean pork, blended with BBQ sauce and slow-cooked for a tender, sweet, tangy, delicious sandwich. 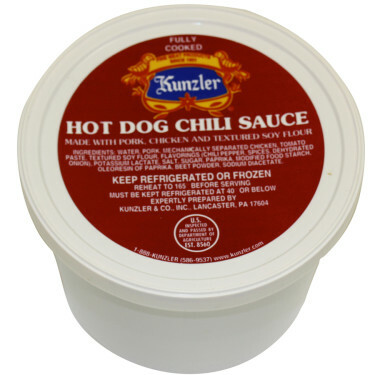 Our chili sauce is a combination of quality meats combined with tomato paste and a unique blend of seasonings ideal for topping off your favorite dog! 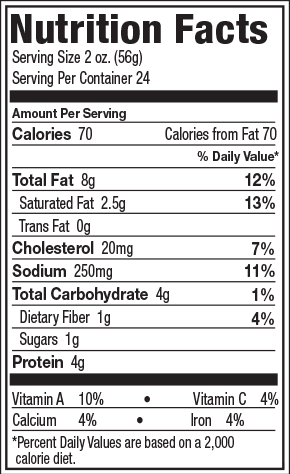 Water, Pork, Mechanically Separated Chicken, Tomato Paste, Textured Soy Flour, Natural Flavorings (Chili Pepper, Spices, Dehydrated Onion) 2% or Less of: Potassium Lactate, Salt, Sugar, Paprika, Modified Food Starch, Sodium Diacetate, Beet Powder, Extractives Of Paprika.